Members of various student organizations on campus publicized their groups to freshmen and upperclassmen at the Student Involvement Fair. The College’s Office of Student Life placed more than 50 recognized student organizations—over ten percent of all registered groups—on probation Thursday after the clubs’ leaders failed to attend the annual student leader training, a requirement for all undergraduate groups. Placing a student organization on probation is a serious penalty, as it removes a group’s eligibility to apply for a roughly $300,000 pot of grant funding from the Undergraduate Council and prevents club members from reserving on-campus spaces for events and meetings. Clubs on probation will be ineligible for these privileges at least until a make-up training session on Oct. 4. Alexander R. Miller, the OSL’s associate dean of student engagement, wrote in an emailed statement that over 50 student organizations failed to attend the annual student leader training where new resources for student organizations were presented. Leaders of affected groups received an email Thursday notifying them of their probation. “Your group has been placed on probation, which means that you do not have access to the benefits of Recognized Student Organizations,” the email reads. It proceeded to list consequences of this probationary status, including the inability to host events on campus, use the Harvard name, or recruit on campus. The OSL has cancelled all space reservations for clubs placed on probation through the beginning of October. Clubs on probation include the Black Students’ Association, the Association of Black Harvard Women, Harvard Hong Kong Society, and a capella group the Harvard Opportunes. Prior to the notification that some clubs would be placed on probation, the College had 442 recognized independent student organizations. Leaders of several student organizations affected by the probation did not respond to requests for comment for this story. Some groups that received the probation email said that they believe the notification was an error. Harvard-Radcliffe Dramatic Club president Emily E. Bergquist ’18 said the sudden notification from the OSL caught her organization “off guard,” and she is actively working to resolve the issue. “We've had problems applying to grants, using RoomBook, and using the Hub, so finding a solution is an extremely urgent priority,” Bergquist wrote in an email. Though the OSL put over 50 clubs on probation, it is unclear how many of the organizations have active members. Any organization that did not send a representative to the training had their recognition revoked, regardless of whether it was known to have active members or not. —Staff writer Brian P. Yu contributed reporting to this story. A Vote of the Faculty. 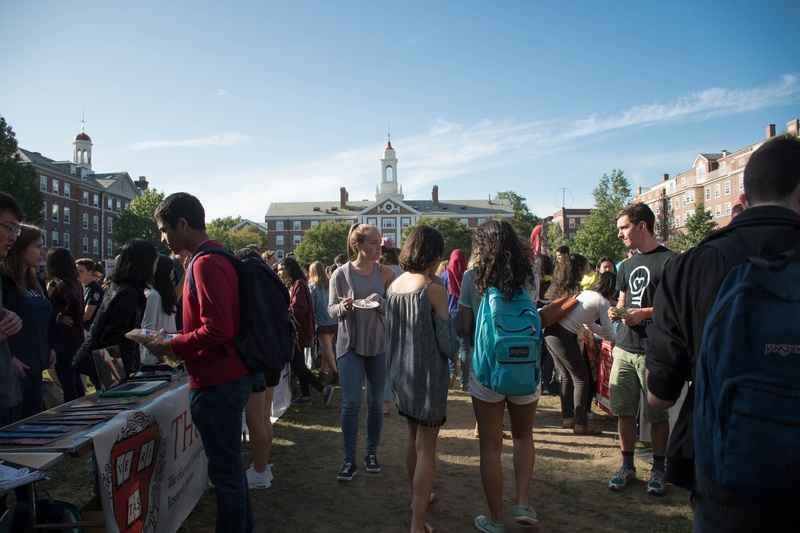 Although Harvard students are extremely busy, we do believe that each group could have found at least one student leader with an open slot on their calendar four months later.